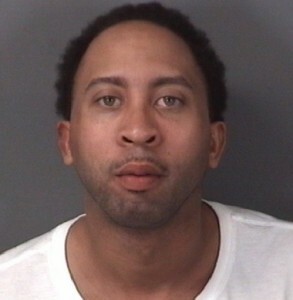 New Year’s murder suspect held on $1M bail | Homicide Watch Trenton | Mark every death. Remember every victim. Follow every case. TRENTON — A city man is being held on $1 million dollar bail, accused of killing another man roughly an hour into the New Year. DeSean Clark appeared in Mercer County Criminal Court early Friday morning, accused of shooting James Threadgill to death outside Passion’s nightclub on East State and Chambers streets in Trenton. According to police, a scuffle between the two men began outside the city nightclub during the pre-dawn hours of January 1. The argument turned deadly when the 32-year-old suspect allegedly jumped ahead in line to enter the club. Threadgill, 52, confronted Clark and started to push the suspect, according to police. Clark, police allege, reached for his .45 caliber handgun, which was tucked into his waistband, and pointed it directly at Threadgill. Threadgill was shot two times, once in the leg and the second time, a fatal shot, entered Threadgill’s head. In addition to the $1 million dollar bail on the homicide charge, Judge Mark Fleming also imposed a $50,000 cash bail on Clark for allegedly alluding police no December on 23, while driving a stolen vehicle. The suspect was seen driving at speeds reaching 100 miles per hour on Route 29, according to Ewing Police. Police said they attempted to pull Clark over that night and he initially obliged, but then sped away once an officer approached the vehicle. The car was later found flipped over on River Road near Country Lane. Although the driver got away, a cellphone containing personal pictures was left behind in the car. Investigator’s identified Clark as the driver of the vehicle when he was arrested on homicide charges on Jan. 17 and he was additionally charged with eluding law enforcement and theft.